BARCELONA, Spain, Jun 19, 2012 (BUSINESS WIRE) — Today, the Velcro Companies, a technology-driven, global organization providing fastening solutions for businesses and consumers around the world, announced the release of a new range of antibacterial fasteners and an evolved catheter securement system that are applicable to a wide range of medical device solutions. Now available for customer product customization, these two innovations were developed in conjunction with members of Xpert Panel, a select group of nurses working in various medical specialties dedicated to the development of next-generation medical equipment solutions. As a result of feedback from Xpert Panel, VELCRO(R) Brand fasteners were enhanced with a highly specialized, antibacterial silver treatment to help reduce the risk of cross-contamination and create safer treatment environments in hospitals and emergency areas where equipment is oftentimes used by multiple patients. The antibacterial product range is available in black and white and features woven hook and loop and plastic high technology hook and fastening components in specifications that are ideal for use in blood pressure cuffs, X-ray cloth, Deep Vein Thrombosis, patient positioning straps, and operating table cushion fastening. The antibacterial properties of the new fasteners also help reduce odor, a benefit for long-term use and in active products such as Continuous Passive Motion (CPM) and rehabilitation braces. The antibacterial fasteners are fully washable and help reduce overall sanitization efforts. The product range features a patented visual indication thread to give users quick confirmation that the fastener is antibacterial. Further insights derived from its work with Xpert Panel led the Velcro Companies to develop a superior catheter securement system that is exceptionally strong and dust-resistant, and yet allows for easy adjustment. These patches use, skin friendly adhesives that are available in several formulations with performance optimized to different skin types and applications, such as for children or long-term use. The plaster’s low profile and adhesive advantages greatly improve catheter security and reduce complications resulting from accidental dislodgement. The new system is ideal for use in drains, IVs, feeding tubes and catheters of most types. 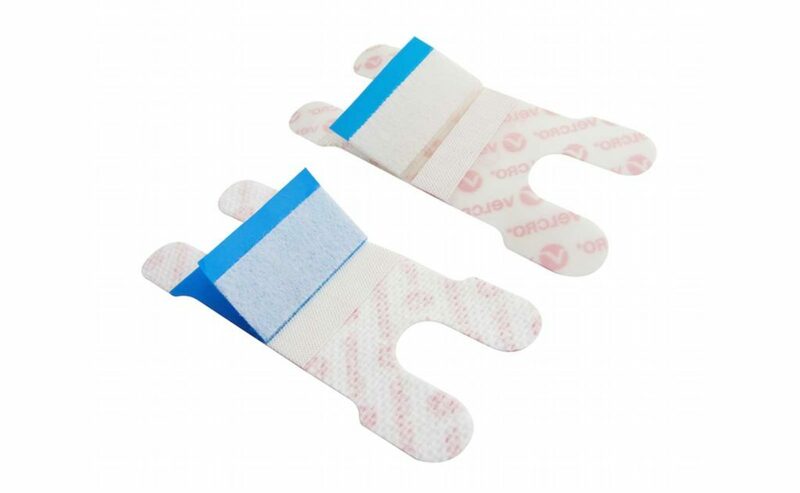 Additionally, the new catheter securement plasters feature an adhesive surface beneath the needle that allows the plaster to secure a variety of needle types and sizes. Versions of the product are customizable with color-coding or see-through needle cover tabs as well as branding options through printing technologies. The Velcro Companies together comprise a technology-driven, global organization providing fastening solutions that solve problems in simple, elegant and surprising ways for businesses and consumers around the world. With more than 50 years of experience, the Velcro Companies are proud of their heritage in innovation. Velcro Industries B.V. owns over 300 active patents and numerous trademarks, including the VELCRO(R) mark which is registered throughout the world. The Velcro Companies offer global resources for world-class solutions, with manufacturing locations in Spain, the United States, Canada, Mexico, and China and sales offices around the world. “Like”” VELCRO® Brand on Facebook: http://www.facebook.com/velcrobrand.